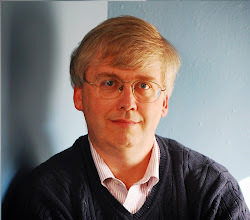 CONVERSABLE ECONOMIST: Japan Has a Trade Deficit?!? Of course, this event comes with some "buts" attached. The trade deficit largely arose from a onetime event: Japan's horrendous earthquake and tsunami in March 2011, which led industrial production and exports to fall while imports of natural gas rose. 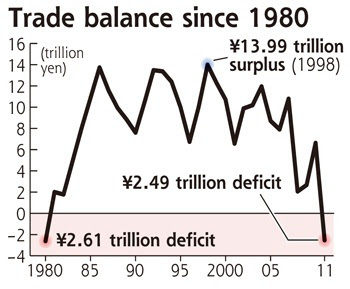 In addition,this trade deficit only involves merchandise trade: if one looks at the overall current account balance, which also includes income from foreign investments, Japan still shows a surplus. from about 23% now to almost 40% by 2050. With this demographic outlook, it seems likely that Japan will become a country that will start to live off some of its vast accumulated savings, consuming more than it produces and running trade deficits, in the not-too-distant future.